← Ceramics In The Round. What is a girl to do when the local Co-op shop don’t have any empty banana boxes for her to pack her pots in? This lamp shade is rather amazing isn’t it, found it on the google image search. You can get them here. Made out of, you guessed it, banana boxes! 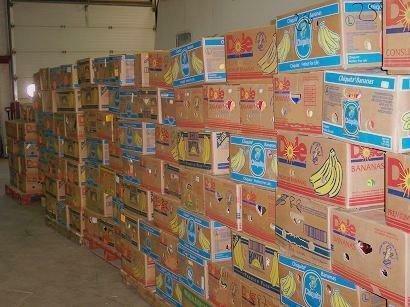 I do so love banana boxes. This entry was posted in banana boxes. Bookmark the permalink. The girl has gone bananas!! I’m off to the co-op, unless you used the lot?! N.B.Pineapple price includes leaves, hence the price.